I love Paris and I love French bakeries. On our regular pilgrimage to Paris, I spend an extraordinary amount of time thinking about food. One of the absolute pleasures to be had in the city is to buy yourself a basic picnic; bread from the baker, cheese from a fromagerie, tomatoes from one of the many street markets, and then spend some leisurely time in a park, watching the city go by as you munch your way through it all. I adore french baked bread, on our last visit to paris we did exactly the same thing for lunch. The Macarons look delicious, I love the delicate floral flavours and would much rather have those than fruit or chocolate flavour, rose has to be my favourite but the violet sounds divine. I don’t know what I was thinking when I decided to give up patisserie for Lent. I actually live in Paris and walking past these rainbow little rainbow macarons everyday is like torture. 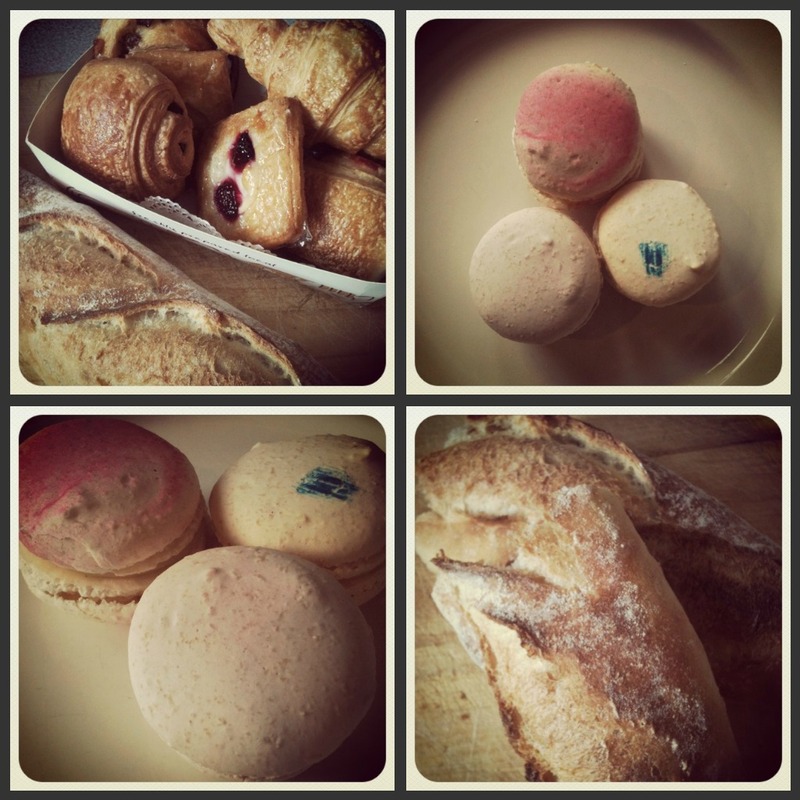 When it’s all over I’m going straight to my favourite boulangerie for a patisserie picnic just like yours!